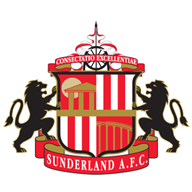 Match ends, Scunthorpe United 3, Sunderland U21 1. Second Half ends, Scunthorpe United 3, Sunderland U21 1. Lynden Gooch (Sunderland U21) wins a free kick in the defensive half. Attempt missed. Rees Greenwood (Sunderland U21) right footed shot from more than 35 yards is close, but misses to the right. Goal! Scunthorpe United 3, Sunderland U21 1. Josh Morris (Scunthorpe United) left footed shot from very close range to the bottom right corner. Assisted by Kevin van Veen. Donald Love (Sunderland U21) wins a free kick in the defensive half. Duane Holmes (Scunthorpe United) is shown the yellow card for a bad foul. Corner, Sunderland U21. Conceded by Cameron Burgess. Attempt blocked. Owen Gamble (Sunderland U21) right footed shot from outside the box is blocked. Paddy Madden (Scunthorpe United) wins a free kick on the left wing. Foul by Rees Greenwood (Sunderland U21). Substitution, Scunthorpe United. Josh Morris replaces Hakeeb Adelakun. Substitution, Scunthorpe United. Paddy Madden replaces Tom Hopper. Attempt missed. Kevin van Veen (Scunthorpe United) right footed shot from outside the box misses to the right. Substitution, Sunderland U21. Jack Diamond replaces Adam Bale. Hakeeb Adelakun (Scunthorpe United) is shown the yellow card. Luke Molyneux (Sunderland U21) wins a free kick on the right wing. Attempt missed. Tom Hopper (Scunthorpe United) header from the centre of the box is too high. Attempt missed. Hakeeb Adelakun (Scunthorpe United) left footed shot from the left side of the box is high and wide to the right. Attempt blocked. Cameron Burgess (Scunthorpe United) header from the centre of the box is blocked. Corner, Scunthorpe United. Conceded by Rees Greenwood. Corner, Scunthorpe United. Conceded by Tom Beadling. Tom Beadling (Sunderland U21) wins a free kick in the attacking half. Corner, Sunderland U21. Conceded by Devonte Redmond. Attempt missed. Jordan Clarke (Scunthorpe United) right footed shot from outside the box is too high. Adam Matthews (Sunderland U21) wins a free kick in the defensive half. Goal! Scunthorpe United 2, Sunderland U21 1. Rees Greenwood (Sunderland U21) left footed shot from outside the box to the top left corner. Assisted by Owen Gamble. Attempt saved. Lynden Gooch (Sunderland U21) left footed shot from the left side of the box is saved in the centre of the goal. Charlie Goode (Scunthorpe United) wins a free kick in the defensive half. Donald Love (Sunderland U21) is shown the yellow card. Adam Bale (Sunderland U21) wins a free kick in the defensive half. Corner, Sunderland U21. Conceded by Rory Watson. Attempt saved. Lynden Gooch (Sunderland U21) right footed shot from the right side of the box is saved in the bottom right corner. Attempt blocked. Donald Love (Sunderland U21) right footed shot from outside the box is blocked. Charlie Goode (Scunthorpe United) wins a free kick on the left wing. Foul by Luke Molyneux (Sunderland U21). Attempt missed. Hakeeb Adelakun (Scunthorpe United) right footed shot from outside the box is too high. Denver Hume (Sunderland U21) wins a free kick in the defensive half. Kevin van Veen (Scunthorpe United) hits the bar with a right footed shot from the left side of the box. Corner, Scunthorpe United. Conceded by Jack Rodwell. Attempt missed. Luke Molyneux (Sunderland U21) left footed shot from outside the box misses to the left. Second Half begins Scunthorpe United 2, Sunderland U21 0. First Half ends, Scunthorpe United 2, Sunderland U21 0. Goal! Scunthorpe United 2, Sunderland U21 0. Duane Holmes (Scunthorpe United) left footed shot from the centre of the box to the bottom right corner. Attempt saved. Rees Greenwood (Sunderland U21) right footed shot from outside the box is saved in the centre of the goal. Attempt blocked. Denver Hume (Sunderland U21) left footed shot from outside the box is blocked. Attempt saved. Jordan Clarke (Scunthorpe United) right footed shot from the right side of the six yard box is saved in the bottom right corner. Denver Hume (Sunderland U21) wins a free kick on the right wing. Attempt saved. Duane Holmes (Scunthorpe United) right footed shot from the right side of the box is saved in the centre of the goal. Corner, Sunderland U21. Conceded by Charlie Goode. Attempt saved. Rees Greenwood (Sunderland U21) right footed shot from the left side of the box is saved in the centre of the goal. Attempt blocked. Lynden Gooch (Sunderland U21) right footed shot from outside the box is blocked. Corner, Scunthorpe United. Conceded by James Talbot. Attempt saved. Kevin van Veen (Scunthorpe United) right footed shot from outside the box is saved in the bottom left corner. Corner, Scunthorpe United. Conceded by Owen Gamble. Attempt saved. Kevin van Veen (Scunthorpe United) header from the centre of the box is saved in the bottom left corner. Corner, Scunthorpe United. Conceded by Denver Hume. Denver Hume (Sunderland U21) wins a free kick on the left wing. Foul by Duane Holmes (Scunthorpe United). Adam Matthews (Sunderland U21) wins a free kick in the attacking half. Corner, Sunderland U21. Conceded by Lewis Butroid. Kevin van Veen (Scunthorpe United) wins a free kick on the right wing. Foul by Tom Beadling (Sunderland U21). Attempt blocked. Charlie Goode (Scunthorpe United) right footed shot from the centre of the box is blocked. Substitution, Sunderland U21. Owen Gamble replaces Ethan Robson because of an injury. Delay in match Ethan Robson (Sunderland U21) because of an injury. Devonte Redmond (Scunthorpe United) wins a free kick on the right wing. Foul by Ethan Robson (Sunderland U21). Attempt saved. Lynden Gooch (Sunderland U21) right footed shot from outside the box is saved in the bottom right corner. Kevin van Veen (Scunthorpe United) wins a free kick in the attacking half. Attempt missed. Luke Molyneux (Sunderland U21) left footed shot from outside the box is high and wide to the left. Attempt saved. Lynden Gooch (Sunderland U21) right footed shot from the centre of the box is saved in the centre of the goal. Goal! 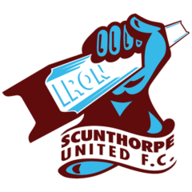 Scunthorpe United 1, Sunderland U21 0. Kevin van Veen (Scunthorpe United) header from very close range to the centre of the goal. Attempt saved. Hakeeb Adelakun (Scunthorpe United) right footed shot from outside the box is saved in the top right corner. Donald Love (Sunderland U21) wins a free kick in the attacking half.